Brewing the perfect cup of coffee comes down to two incredibly critical parts: art and science — at least according to Cora coffee brewer creator Aaron Freyer, that is. Due in large part to Freyer’s belief that choice java essentially boils down to craft mixed with a bit of proper science, the young entrepreneur designed an innovative all-in-one pour-over coffee device geared toward easily achieving this perfect harmony. Launched via the popular crowdfunding site Kickstarter this week, the Cora brewer not only allows owners the ability to craft first-class coffee but comes standard as a kettle, coffee brewer, digital scale, and coffee storage unit all in one package. 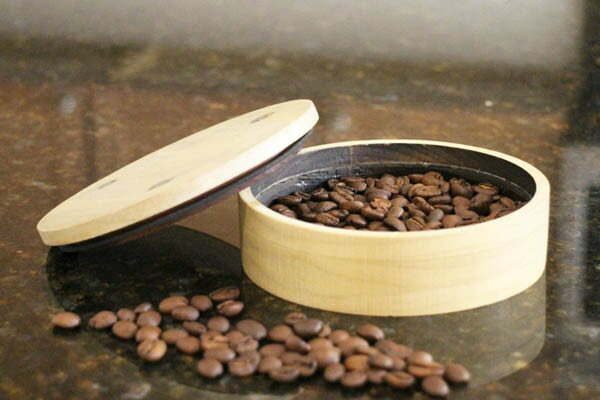 Starting from the bottom, the device’s natural wood storage container boasts an airtight design capable of keeping whole or ground beans consistently fresh. Moreover, it provides the exact amount of space necessary to tote enough coffee for any kind of weekend getaway. 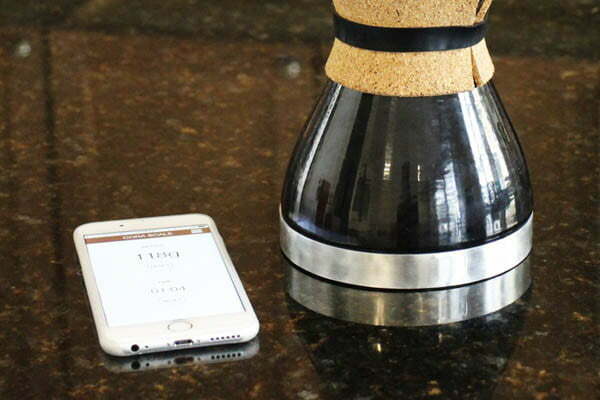 In addition to the coffee storage container, Cora also boasts a Bluetooth scale that allows users to weigh out the perfect amount of coffee before brewing. Featuring the ability to easily sync via a companion smartphone application, the scale reads weight in either grams or ounces and uses a USB-compatible rechargeable battery. What’s more is that the scale magnetically attaches to the storage unit, which then attaches to the carafe and kettle, making the entire device incredibly compact and easy to transport. Concerning Cora’s ceramic carafe and included kettle, Freyer outfit both with a batch of natural cork to avoid burns. To brew coffee into the carafe, owners simply fill the kettle with hot water and pour it over coffee placed in a filter atop the carafe. The kettle’s small spout makes it easy to accurately pour water over a batch of coffee ground and once it’s done being used, it fits snugly into the top of the carafe. As of this writing, the Cora coffee brewer has already raised just shy of $3,000 of its $15,000 fundraising goal. Early adopters have the ability to purchase this all-in-one device for just $99 which, according to Freyer’s campaign, represents a 20 percent discount over Cora’s intended retail value.